When it comes to financial roadshow transportation, no one is more trusted or more respected in the investment world than Commonwealth Worldwide. That’s because we understand the demanding and critical nature of the business. 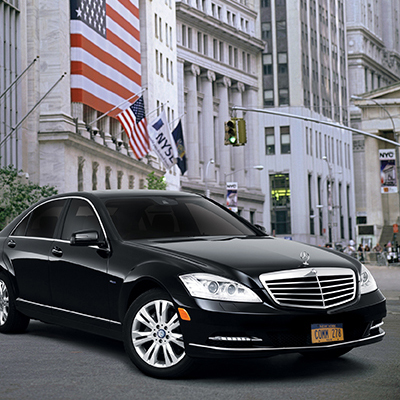 Our reputation as a leader in executive transportation for the financial sector allows us to maintain preferred status with many of the largest, most recognizable investment banks and investment firms on Wall Street and beyond. To accommodate even the most intricate, multi-city itineraries, we maintain a dedicated Financial Road Show/Investment Tour Desk staffed by highly trained managers, agents and chauffeurs. Serving clients in New York City, Boston, and hundreds of other cities across more than 85 countries, Commonwealth Worldwide is a global leader in the world of corporate road show travel. Dedicated Road Show Desk: Our roadshow specialists are trained to execute rigorous, detailed, multi-city, full-day (sometimes multi-day) schedules. Our direct telephone line puts you in contact with us immediately, with your phone call answered by a live person, 24/7. Specially-Trained Roadshow Chauffeurs: Our roadshow chauffeurs are explicitly trained to accommodate the specific needs intrinsic to the financial sector. Our staff is comprised of career professionals driving an impeccable fleet of late model Sedans, SUVs and Vans, all equipped with the latest technology to facilitate on-the-fly route adjustments as necessary. We have an unmatched safety record in the industry due to our diligent safety program including: DRIVECAMs™, mandatory safety programs, background checks, and drug-free workplace. Detailed Pre-Trip Information: The evening prior to your reservation, we provide you with your driver's name and cell phone number. This information will be e-mailed to you for all cities you are working the next day. Expedited Post-Trip Billing: We provide accurate billing in a timely manner to simplify your reconciliation and accounting process. Our bills and reports are customized to your specifications, providing you with the information you need, when you need it. UnCommon Commitment: We are people moving people, and sometimes things happen. We are proud of the fact that out of every 1,000 rides we complete, there are less than five issues to report. And if we do encounter a problem, you’ll likely hear from us to resolve the matter before we hear from you - that's "The Commonwealth Way." To view/print a Roadshow Services Overview, please click here. The customer support team – especially the Road Show Desk – is dependable, very efficient and courteous. I would highly recommend Commonwealth! As a Road Show Coordinator, Commonwealth definitely makes me shine! - Denise Clarke, Vice President, Corporate Marketing, Keefe, Bruyette & Woods, Inc. I found their attention to detail superb, and the level of service outstanding! I wouldn’t hesitate to recommend them to anyone.